Duke is the preseason favorite in the 2019 ACC Men’s Lacrosse Preseason Coaches Poll. The Blue Devils received 21 points in balloting among the ACC’s five head coaches. Notre Dame was No. 2 with 17 points, followed by Virginia (16), Syracuse (14) and North Carolina (7). The Preseason All-ACC Team features 14 student-athletes representing all five conference teams, with four selections each from Duke and Virginia, three from Syracuse, two from Notre Dame and one from North Carolina. Included on the Preseason All-ACC Team are nine players who earned All-America honors from the United States Intercollegiate Lacrosse Association (USILA) All-Americans for the 2018 season. All five ACC men’s lacrosse teams are ranked in the Inside Lacrosse Face-off Yearbook Preseason Poll, led by No. 2 Duke. The Blue Devils are followed by No. 6 Notre Dame, No. 8 Virginia, No. 11 Syracuse and No. 16 North Carolina. The ACC is tied for the most teams in the top 25 among all conferences. 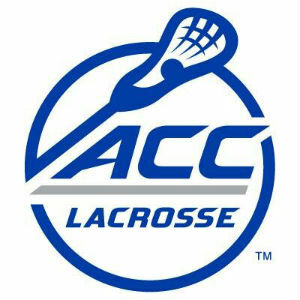 Eleven ACC men’s lacrosse players have been named to the Inside Lacrosse Face-Off Yearbook Preseason All-America Team, highlighted by three first-team selections – Virginia midfielder Dox Aitken, Duke midfielder Brad Smith and Notre Dame midfielder Bryan Costabile. The ACC’s 11 Face-off Yearbook Preseason All-Americans are the most of any league. The 2019 men’s lacrosse season gets underway Saturday, Feb. 2, when North Carolina takes on Mercer at 1 p.m. and Duke faces Furman at 7 p.m. The first round and semifinals of the 2019 ACC Men’s Lacrosse Championship will be played April 25 and 27 at Kenan Stadium in Chapel Hill, North Carolina. The championship will be played May 4 at the campus site of the highest seed in the final.